Red Bull Music Academy (RBMA) announced a series of performances Monday that will take place during a month of activities this fall. Among the many established artists taking part in the monthlong electronic music event are Ryoji Ikeda, who will bring his world-renowned test pattern series to Tokyo for the first time, and DJ Krush, who will perform with traditional musicians at the National Museum. 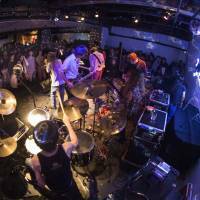 Wails to Whispers (Oct. 17): Musician Keiji Haino will host a night of noise at SuperDeluxe in the Roppongi district featuring bands such as Melt-Banana and Masonna. The Garden Beyond: DJ Krush × Washo (Oct. 20): One of Japan’s most famous hip-hop artists, DJ Krush will join a group of musicians playing traditional Japanese instruments for a performance in front of the Gallery of Horyu-ji Treasures at the Tokyo National Museum. Lost in Karaoke (Oct. 22): The Karaokekan Shinjuku building will be taken over by Japanese artists representing seven subcultures for a live-streamed karaoke bash. Among those set to appear are tofubeats, Seiho and Battle Train Tokyo’s footwork crew. test pattern [n°6] (Nov. 5-9): Well-known for his large sculptural light installations, Ryoji Ikeda will bring his test pattern series to Tokyo for the first time ever when he takes over Spiral Hall in Aoyama for five days. Chaos Conductor (Nov. 11): Boredoms member Eye and Yoshihide Otomo will work with RBMA participants at Dance Hall Shinseiki in Taito Ward to conduct a massive improvisational performance as the academy winds down. In lieu of a final exam perhaps? 1up: Cart Diggers (Nov. 13): Red Bull Music Academy will broadcast an online documentary titled “Diggin’ In the Carts” for the duration of its time in Tokyo, which focuses on the influence of video-game music. This musical night at Womb in Shibuya serves as a culmination to that series. Along with these special events, expect performances by artists such as Just Blaze and Zebra Katz (at Harlem on Oct. 14), Mala and Goth-Trad (at Unit on Oct. 18), and two nights of the Electronic Music of Art Festival Tokyo (at Liquidroom on Oct. 18-19). Also look out for public lectures featuring Yoshihide Otomo and Daito Manabe. 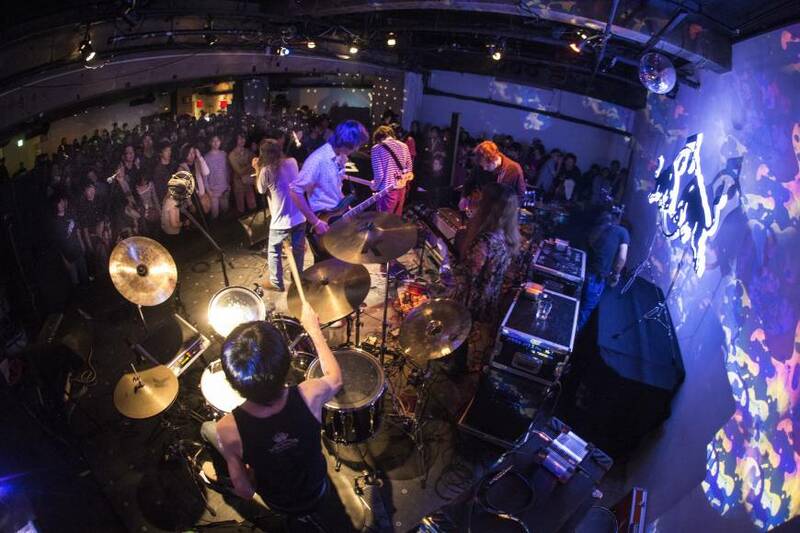 Red Bull Music Academy takes place at various venues in Tokyo from Oct. 12 to Nov. 14. For more information, visit www.redbullmusicacademy.jp/jp/?section=magazine/tokyo-2014-events or www.redbullmusicacademy.com.